Visiting Indian Prime Minister Shri Narendra Modi has announced two lines of credit for Uganda. The first line of credit of 141 million US Dollars is for electricity lines while a second line of credit of 64 million US dollars is for Agriculture and Dairy production. Prime Minister Modi told parliament that India will continue to support aspirations of the people of Uganda in agriculture, health care, education and training, infrastructure and energy, capacity building in government and training in defense. He outlined 10 principals which he says will guide the India’s engagement with Africa. Some of the principals include keeping the Indian market open to make it easier and more attractive for Africans and Ugandans specifically to trade with India, help Africa address challenges of climate change, combat terrorism and extremism, improve Africa’s agriculture and ensure that Africa’s priorities are considered in this new Indo-African partnership. The Indian Prime Minister also announced that his government was planning to open up 18 new Indian embassies in Africa to strengthen ties between India and Africa. “Africa will be at the top of our priority. We will continue to intensify and deepen our engagement with Africa. As we have shown, it will be sustained and regular,” he told Uganda’s legislators. He noted that the large number of young members he saw in parliament was good news for democracy. He lauded President Museveni for bringing peace to Uganda. “You have brought peace and stability to your nation and to the region. You empower women and made your nation more inclusive. Uganda is an example of Africa on the move, it is witnessing increasing gender parity, rising education and health standards,” he said. Mr. Modi also announced that his government was going to build the Ghandi Heritage Center in Uganda. The center will be built in Jinja at the sacred site at the source of the River Nile where the ashes of Mahatma Gandhi were interred. 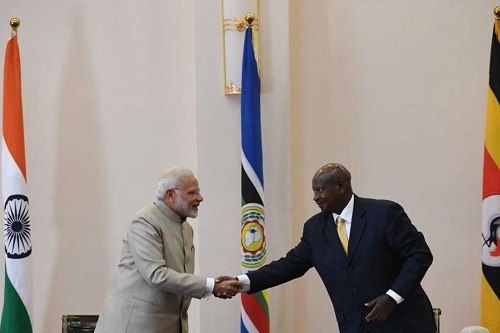 Museveni and Modi earlier held talks that focused on defense, innovation, investment and tourism sectors. “We have had very fruitful discussions and our countries’ trade and political ties will continue to be strengthened, President Museveni tweeted away shortly after the visitor left the country. President Museveni noted that during the discussions His Excellency Narendra Modi proposed that Indian groups come and invest in Uganda. He noted that this will reduce the exodus of Ugandans seeking specialized medical care in India. In his address to the Indian community that gathered at the Kololo airstrip in Kampala on Tuesday evening to welcome the visiting Prime Minister, President Museveni hailed Indians for their contribution to the economy. 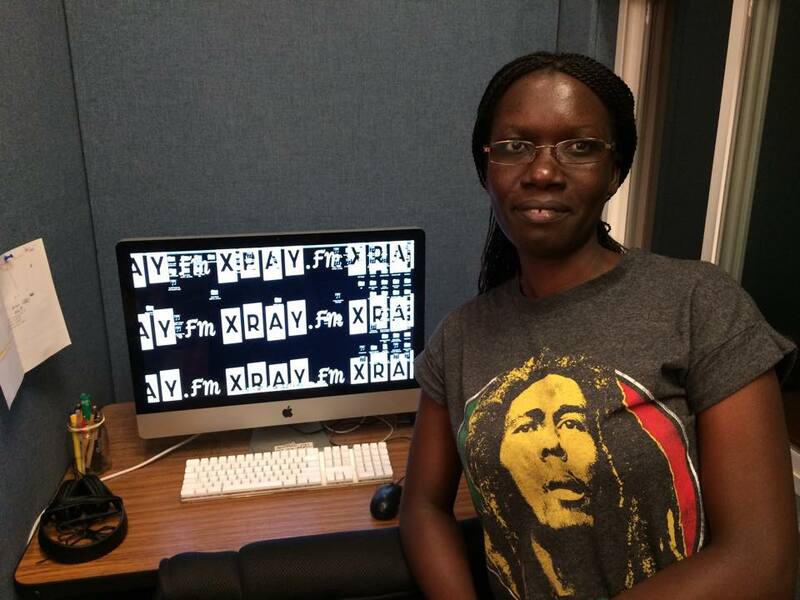 “To date, there is a sizeable community of people of Indian origin living in Uganda. The Indian community is vibrant and holds an important position in the economy and political life of this country,” he said. President Museveni noted that over the years, Indians have made their mark on Uganda’s economic and business landscape. “They have established industries, banks, hotels, insurance firms, agro-processing plants that have provided employment and tax revenue to the Government,” he opined. According to Uganda’s head of state, most of the major companies, almost 80 percent of the top-level companies, are either owned by Indians or people of Indian origin who settled here for many, many years.